As part of our ongoing effort to bring new features to our Xbox fans worldwide, we’ll begin rolling out more features to folks in our early access program beginning this week and we’re looking forward to their feedback before shipping the system update to all Xbox One owners in May. We hope you’ve been enjoying our most recent Xbox One system update that rolled out last week and we look forward to bringing you even more great features in the months ahead. Feature highlights for this next phase of our early access program include a new sound mixer for snapped apps, chat volume controls when using Kinect and the option to help us improve speech recognition. You can also take this update on demand as soon as it becomes available if you’d like. We’ve received great feedback from fans asking for more control over audio levels and background sound. As a result, under Settings we’ve added two new features for controlling your audio options. With the new Sound mixer, you’ll be able to control the volume levels of two apps when you’re using Snap letting you decide which app is louder. 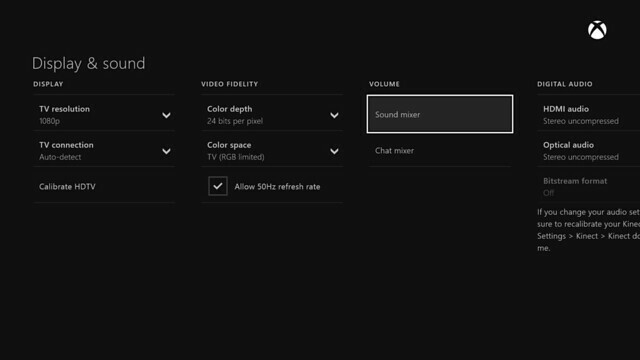 In this same section, you’ll also be able to control the volume levels when you’re using Kinect for chat. Being able to control your Xbox One with voice commands can be a magical moment and we want to continue making this great for all Xbox One owners worldwide. The more voice samples we have to input into our algorithms, the better and more responsive Xbox One can be to our fans. If you want to help us in our efforts to make voice and speech improvements for Kinect even better, you can opt-in to a speech data collection. Under Settings, then Privacy & Online Safety, go to Customizing privacy and online safety and set Share Voice Data to Allow. This is completely optional and all voice data shared via this setting will be used for product improvement only. You’ll now also be able to take this next system update as soon as it’s available if you want. 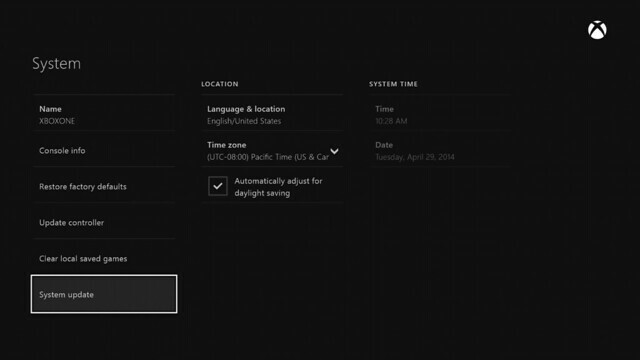 When this update is made available, you’ll find the option under Settings, then select System update as shown below. As always, we’re thrilled with our fans’ enthusiasm about our Xbox One system updates and we’re really excited about what’s coming in the next few months. We look forward to hearing your feedback about these latest features in our early access program and will roll them out to everyone worldwide in May.